John Andersen er uddannet tømrer og arkitekt fra Kunstakademiets Arkitektskole i 1970 og har været formand for Eventyrernes Klub (1997 - 2001). John Andersen har undervist på Kunstakademiets Arkitektskole, som lektor (Indtil 1/7 2018). Skriver bøger, laver udstillinger, holder foredrag og rejser. John Andersen har gennem mere end 50 år foretaget mange forskellige og spændende rejser. Bjergbestigning, arkæologiske ekspeditioner, isbjørnemærkninger samt kajakekspeditioner overalt langs Grønlands og Canadas kyster.Siden 2005 har John efter en pause på 30 år igen foretaget rejser på motorcykel. I mere end 40 år har han lavet mange radioudsendelser (P1) om sine rejser og bl.a. udgivet bøgerne: "Mit Grønland" 1998. "Jorden Rundt" 1998. "84 Nord", "I kajak Nord om Grønland" 2001. "Pakis og Fjerne Horisonter" 2002 (solgt til National Geographic 2003) "Eventyrernes Klub" 2003. "Grønland" 2005, genudgivelse af Knud Rasmussens "Min Rejsedagbog" 2006, Eigil Knuth's "Fire mand og Solen"2007, samt "Rundt om Grønland" 2009, sammen med fotograf Ture Andersen samt medforfatter i "Udlængsel" Eventyrernes Klub 2011.November 2012 udkom på Gyldendal "Rejser til det lykkelige Arabien", På sporet af Carsten Niebuhr. I 2014 udkom også fra Eventyrernes Klub "Magiske Grønland" på forlaget Gyldendal. 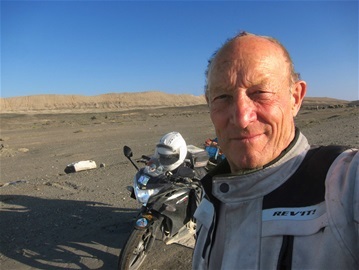 I 2014 gennemførte John en motorcykelrejse til Kina hvor målet bl.a. var at studere de gamle karavane seraier en slags hotellet hvor karavanerne i mere end 2000 år kunne søge ophold og udveksle varer fra Xian til Istanbul. I 2015 udkom bogen "Silkevejen på motorcykel" på forlaget Gyldendal. 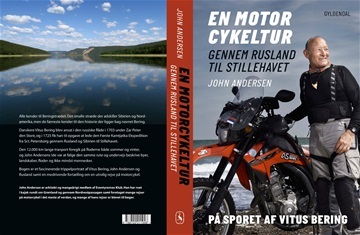 I 2016 gennemførte John en motorcykelrejse i sporet på danskeren Vitus Bering fra Horsens til St. Petersborg og gennem Rusland og Sibirien til Stillehavet. I november 2017 udkom der på forlaget Gyldendal en bog om Vitus Berings fantastiske rejse og om Johns oplevelser i det kæmpe, store land. 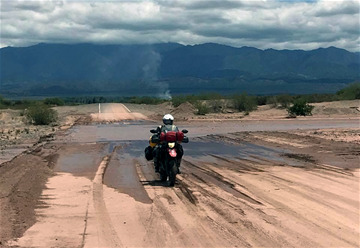 I 2018 gennemførte John Andersen en 4 måneder lang motorcykelrejse fra Buenos Aires i Argentina til Chile, Peru, Eucador og Columbia. Målet med rejsen var bl.a. at følge Ernesto (Che) Guevaras fantastiske ungdomsbog "En motorcykeldagbog".Forlaget mellemgaard har utimo januar 2019 accepteret at trykke bogen om rejsen. Editions: Austria · Denmark · France · Germany · Italy · Norway · Spain · Sweden · Switzerland Search Norway's news in English. 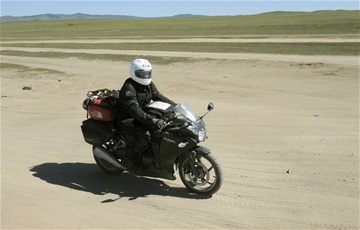 All photos are from John Andersen's travels and are copyright John Andersen. 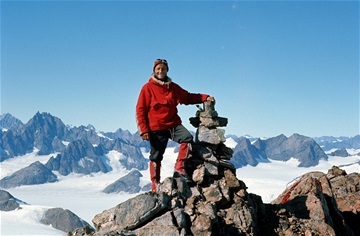 John Andersen dropped out of high school to climb mountains. 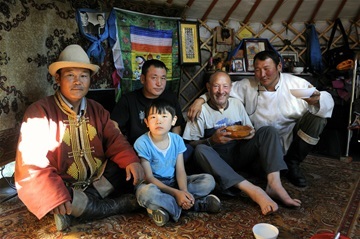 Decades later, the 73-year-old is still travelling the world - and it's been a priceless education. We all have that dream – to travel the world, and make a living in doing so.But for most people, that's as far as it goes: just a dream – a distant fantasy that taunts us during the mundane moments of our everyday lives. And if it wasn't for his outdoorsy father and upbringing, this could have been true for Danish high school dropout, John Andersen, too. “My father was passionate about nature. 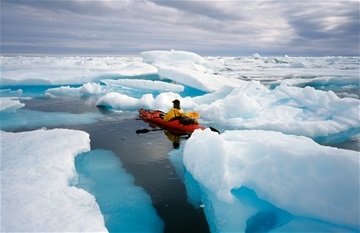 He would always go out into the woods, or go kayaking and scouting and so on,” John explains. An adventurer in the making, John continued to travel with – and learn from – his father throughout his childhood; his passion for nature and the great outdoors growing with every trip. “We went on a long, beautiful hike in Lapland in northern Sweden when I was 16 years old,” John recalls. Whilst exploring the far north of Sweden, John and his father visited Sweden's highest mountain: Kebnekaise, where they met a mountain guide from Austria who took John rock climbing. The mountain guide told John about a school in Switzerland where he could learn to climb. John was instantly intrigued, and later quit gymnasium in order to attend the Swiss school. “I came home from gymnasium, and told my dad that I don't want to go to school anymore,” John explains. It soon became clear to John though, that mountain guiding alone would not give him a stable income. As such, on his return to Denmark, John attended the School of Architecture in Copenhagen to train as a carpenter and architect. But by no means was that the end of John's dreams of exploration and adventure. 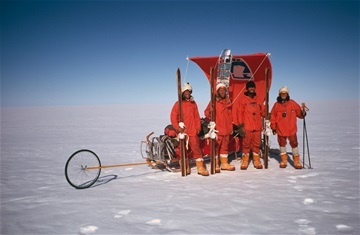 After all, the Nordics have spawned some the world's most celebrated explorers and adventurers. Their journeys and stories have inspired generations to not only follow in their footsteps, but also to create legacies of their own – and John Andersen is no exception. 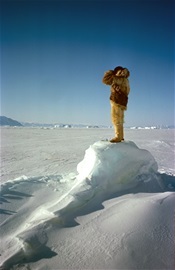 Throughout his travels and adventures, John has found inspiration from a variety of Nordic explorers who came before him. Fridtjof Nansen, Norwegian explorer and Nobel Peace Prize laureate, was the arst. But it wasn't the climbing that John hung around for. With Nansen in mind, he set about embarking on his arst real adventure: crossing the Greenland icecap on skis. 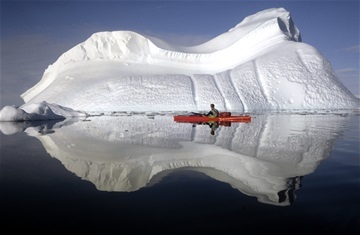 arst Greenland Inuit, and continued to embark on several kayaking adventures around the Greenlandic coast between 1980 and 2005. After attempting to run his own architectural business, John started lecturing in Islamic Architecture at the School of Architecture in Copenhagen in the 1980s, something he still occasionally does today. Meanwhile, like a real-life Indiana Jones, John ventures around the world on different Nordic-enthused expeditions and adventures. 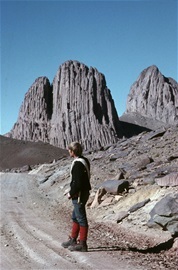 “I was inspired by the Danish Arabia Expedition of 1761, for instance” John says. Sixteen years ago, the biggest publishing company in Scandinavia approached John, suggesting that he write a book about his travels. John's arst book, Mit Grønland (My Greenland), was published in 1998. 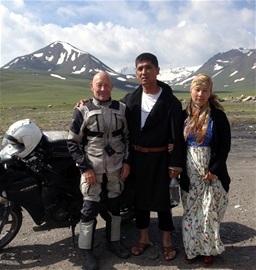 Since then, he has written several more about his adventures, including his journey across the Northwest Passage in a kayak in 2002, the aforementioned Danish Arabian Expedition in 2012, and his voyage along the Silk Route to China in 2015. 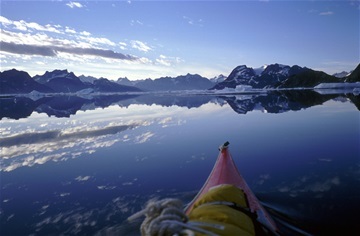 Currently, John is writing about another Nordic-inspired adventure he recently spent four months completing. “It is a beautiful story about a Danish commander, Vitus Bering, who travelled for the Russian Tsar, Peter the Great,” he explains. 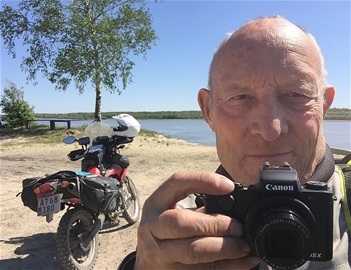 John followed Vitus Bering's remarkable journey, sailing thousands of kilometres along the magniacent Siberian Rivers, meeting lots of friendly people along the way. 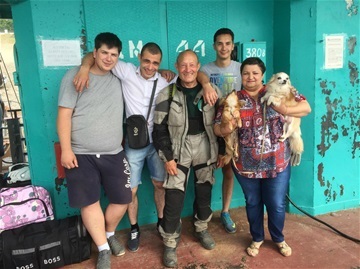 “The Russians are very nice people – they are fantastically open and helpful,” John says. 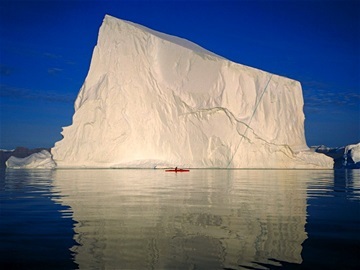 To this day, however, out of the many places John has visited around the world, Greenland still tops his impressive list of favourites. 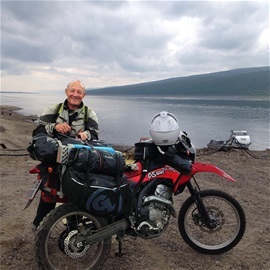 Now aged 73, John's appetite for adventure shows no sign of wavering, with plans to explore South America by motorbike next year. 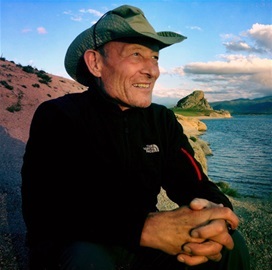 John Andersen will continue to travel, write and lecture – sourcing inspiration from some of the great Nordic explorers that have gone before him, all the while leaving footsteps of his own that will one day be followed by those he too has inspired – whenever and wherever that may be.